Karen has worked with thousands of speakers, authors, and event planners across the country as the founder and owner of Christian Speakers Services. She has been providing technology support and promotional services since 1994 to speakers, authors, entrepreneurs, ministry leaders, and business owners. ​Karen's passion and purpose are to help Christ-centered communicators and business owners share their messages and products of hope and healing to change the world by creating innovative solutions. She has helped them connect with their audience, grow their platform base, find new speaking opportunities, raise the bar, and increase their customers, paid enrollees, products and book sales by using various delivery methods and strategies. Karen has 40+ years experience in the Christian communication industry. She started at the age of 11 as a drummer and later served as a bass guitar player gospel music bands. She has been on virtually every side of events and the stage as a musician, songwriter, speaker, author, event planner, concert promoter, coach, book tour manager, speaker bureau owner, and booking agent. Her marketing, technology, and curriculum development experience has helped her develop and launch a national support group, develop and produce hundreds on live webinars, develop websites, and design promotional and other support materials for internationally-known Christian speakers, authors, and teachers. Karen started Power Communications in 1994 developing promotional materials, bulletins, and website development for churches and small businesses. In November 2004, Classervices, Inc. hired Karen to run their speakers bureau where she booked speakers such as Florence Littauer, Lauren Littauer Briggs, Ann Downing, Lee Ezell, Cindi McMenamin, Rhonda Webb, Kathy Collard Miller, Renee' Bondi, Kathi Lipp, and others. 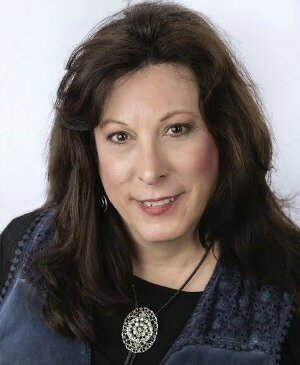 She also served faculty for the Glorieta Christian Writers Conference in 2005-2006. In January 2007, Karen started her own agency, Christian Speakers Services, where she booked speakers such as Sandra Aldrich, Thelma Wells, Darryl Strawberry, Kathi Macias, Reba Rambo-McGuire, Dony McGuire, Debbie Hannah Skinner, Vonda, Skelton, Cecil Murphey, Michele Pillar, and others. Karen' diverse background in business, marketing, curriculum development, website development, webinar production, and communication gives her a real edge in assisting Christian communicators. Ready. Set. Finding Your Audience! I've always known that I was a modern day armor bearer. To me, that means, I'm a person who is knowledgeable and skilled in many areas. I can help in those areas with competency, often in the heat of battle or at a moment's notice. 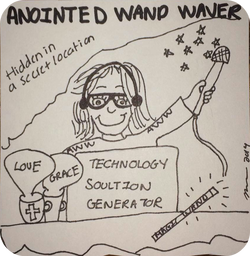 As part of a class discussion on what our superhero powers would be, I was dubbed the "Anointed Wand Waver". . .and it stuck. Every superhero has someone behind them designing programs and running the gadgets and technology. As the Anointed Wand Waver, I am the one who stays behind in the bat cave, in the unmarked van on a dark street, backlit by the lights of the computer monitors and other gadgets. I'm wearing a headset and microphone. I have computers, tablets, cell phones, and a myriad of software to run them. I'm where the action REALLY IS ... where the technology is. I'm the eyes and ears of the operation. Some people think my skill set seems so diverse, and it is, but there is such an interconnectivity of technology, skills, and results. I'm the one who makes sure the weaponry is ready and functioning so the other team members and superheroes can function at 100%. With vast knowledge at my fingertips, I create what is needed, and take the mission from the 34,000 feet level to landing it right on target ... all from my secret location. ​If my wand is waving, then I'm creating and making things happen! Watch out as the bits and bytes fly! Course developer for the Pitney Bowes National Sales Training. (2001-2006). PBNST was ranked in the Top 100 training organizations in the United States (2005). 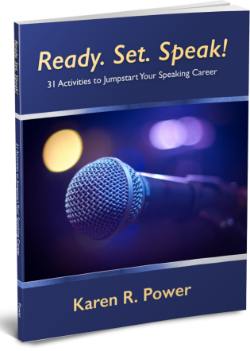 Karen Power is a gifted coach and speaker advocate. Her services have led to a significant increase in the number of speaking engagements I secure yearly. Her speaker training has covered everything from platform building to building better talks, audience engagement, and how to make meeting planners love you. I highly recommend her services to anyone serious about expanding their ministry reach. Your expertise and experience in coaching, has helped me hone my message and become the speaker I am today. You've been with me for many years. 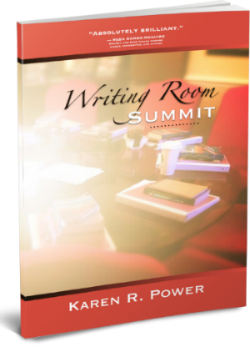 I can't wait to share this with many men and women I know who are looking to hone their message.